The 2018 Maruti Suzuki Ertiga MPV is launched at Rs 7.44 lakhs. Maruti Suzuki India Limited has officially launched the new Ertiga MPV in India. 2018 Ertiga is offered in a total of 10 variants out of which LXi, VXi, ZXi and ZXi+ are petrol manual variants, VXi and ZXi are petrol automatic and LDi, VDi, ZDi and ZDi+ are four diesel manual variants. 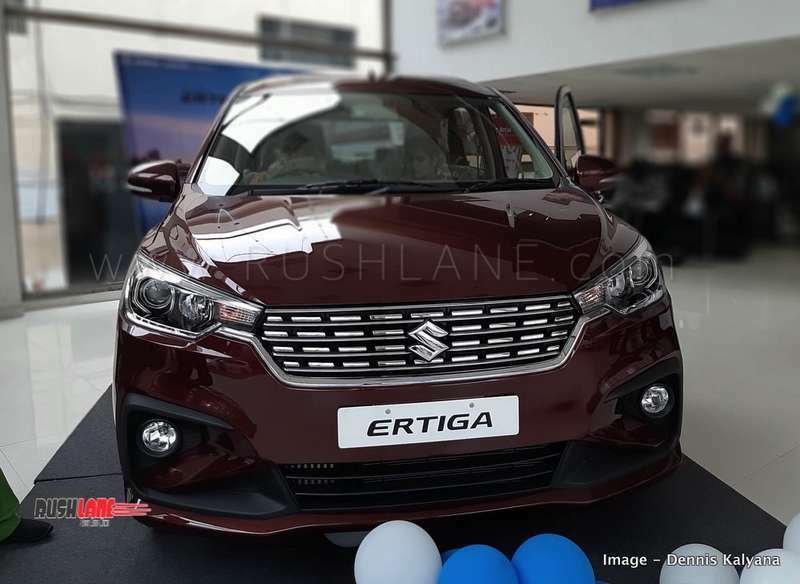 Maruti Suzuki Ertiga, based on the carmaker’s 5th generation HEARTECT platform, gets increased dimensions, better equipped interiors and a new engine lineup as compared to that seen on its earlier counterpart. 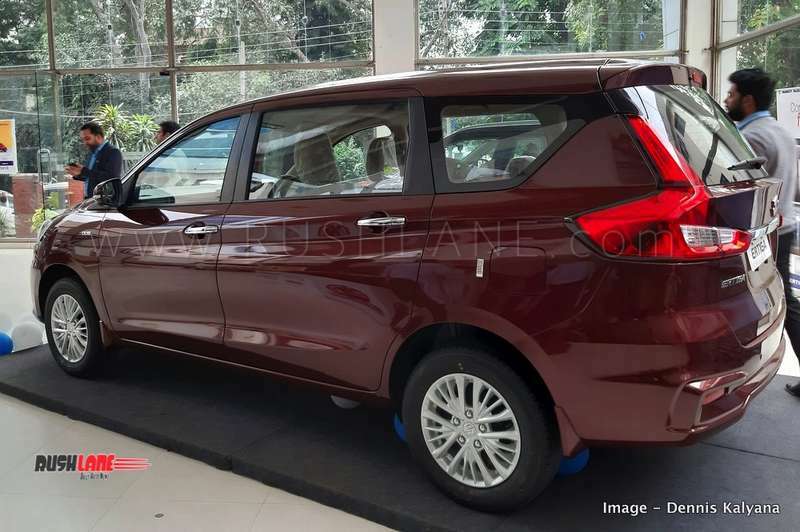 The company also states that the new platform makes the Ertiga stronger and more rigid, thus enhancing safety while NVH levels are also improved. Its exterior makeup boasts of new 15” alloy wheels, new front grille with chrome accents, projector headlamps, new fog lamp housing and a sculpted bonnet. In terms of dimensions, the new Ertiga now stands 99mm longer, 40mm wider and 5mm taller thus not only resulting in added cabin space but boot space is also increased from an earlier 185 liters to 550 liters with third row seating turned down. Boot space can be further expanded to 803 liters with second row seats folded down. Interiors of the new Ertiga MPV also get enhanced features along with advancements in infotainment and connectivity. It now sports more comfortable seating, a new color scheme and a flat bottom steering wheel design borrowed from the DZire. Adjustable headrests, cooled cup holders, reclining third row seating and a 12V charging socket are also among its new features. Top end variants get automatic climate control and a new infotainment system with Android Auto and Apple CarPlay. Engine lineup on the 2018 Maruti Suzuki Ertiga includes a new petrol engine while it continues to be powered by the same diesel engine as seen on its earlier counterpart. The 1.5 liter, in-line four K15B petrol engine offers 103 bhp power and 138 Nm torque mated to a 5 speed manual or 4 speed automatic transmission. The diesel engine is the same 1.3 liter DDiS engine offering 90 bhp power and 200 Nm torque mated to a 5 speed manual transmission with no automatic options offered as on date. Maruti Suzuki Ertiga competes with the Honda BR-V and recently launched Mahindra Marazzo. On sale at all the 2,200 dealers of Maruti Suzuki, Ertiga sales are off to a good start. Almost every dealer is quoting a waiting period of up to 4 weeks.